Azure IoT Edge is a fully managed service that delivers cloud intelligence locally and makes hybrid cloud and Internet of Things (IoT) solutions a reality. Work for Azure IoT Edge? Learning about Azure IoT Edge? "Streamlined experience that can pack a punch"
Azure IoT edge is a streamlined (when you include documentation) configuration tool that has assisted well in helping manage multiple IoT devices around my house and work. Not really a con, but there is a learning curve at first going back and forth between documentation and product so you set up things right the first time. While I myself only used the product for a short time, the power behind Azure IoT Edge and the support it offers in streamlining the administration of IoT devices in your company or home is extremely beneficial to any size team. Customer activity monitoring, managing IoT devices in one cloud-based location, rather than various local servers. Steamlining is the number one benefit. "IoT solutions made simple and easy"
The best thing about Azure IoT Edge is how simple and easy it is to use and navigate through. We find ourselves using it for various AI related tasks and projects throughout the company regarding telecommunications. It''s performance optimization feature is versatile and useful for so many reasons. We use it to automate a lot of tasks and projects within the company. The benefits are endless, as automating AI solutions make everyone's job a lot easier and less stressful. There isn't much to dislike about Azure IoT Edge. It does now work with the Apple ecosystem, but it is possible that that change is reflected soon. To take some time using the product and utilizing all it's features! There's a lot to take in with this sort of product, and if you're new to IoT development and tracking, it can be daunting at first, but is definitely worth the time to sit down and automate certain IoT tasks and projects that your company is using it for. We use it to automate a lot of tasks and projects within the company. The benefits are endless, as automating AI solutions make everyone's job a lot easier and less stressful. What IoT Management solution do you use? "A seemless IoT integration tool for cloud intelligence"
This is a powerfull, secure and reliable application as well as its cross platform. Next to this connectvity on the different platform is so smooth and development and intelligence deployment task are pretty simple in this tool. We easily monitored and automated different IoT solution on the cloud instead of local server. Things are easily accessible. Its a bit expensive except that its a great tool. Easily managed the integrity between devices and cloud. We improved the process of data analytics and handled the services efficiently. Its a great end to end solution for us. What I would say I dislike is that is that it can be a bit of a pain if people are working between Mac vs Windows but otherwise I can’t reallt say I have any complaints. "Great tool , very helpful"
"Using Azure IoT Edge with Success"
The robust nature of the system once it is fully setup. 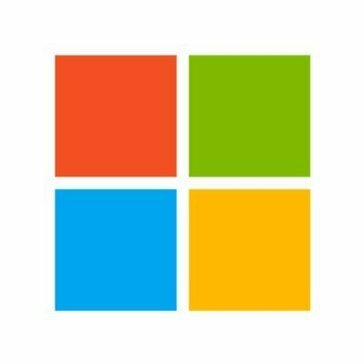 Somewhat hard to find support from Microsoft as the product is relatively new. We are connecting our industrial machines to the cloud using Azure IoT Edge. Benefits are allowing us to do this for the first time. "Lives up to the hype"
"Azure IoT is best - if you’re already sold on Azure"
Azure has excellent customer service. They’re always willing to help. The user interface can be a bit clunky at times. I use Azure IoT Edge for social media marketing analytics. * We monitor all Azure IoT Edge reviews to prevent fraudulent reviews and keep review quality high. We do not post reviews by company employees or direct competitors. Validated reviews require the user to submit a screenshot of the product containing their user ID, in order to verify a user is an actual user of the product. Hi there! Are you looking to implement a solution like Azure IoT Edge?